Regardless of whether you rent your house, the fact is that it’s your home - it doesn’t matter who owns it, it’s your safe haven from the world. So when you return home to find an eviction notice slapped on your front door or receive an eviction letter in the mail, it’s totally natural to panic. The crucial factor to remember is that just because you have been served an eviction notice, it does not mean that you have to move out tomorrow. That being said, it’s important to start getting yourself organized to ensure that when eviction day arrives, you are ready to move to somewhere new. To minimize the impact of being evicted on yourself and your family, below are some tips and pieces of advice to take note of. Being evicted from your home is never a nice feeling. It’s terrifying because you have a set period of time to find somewhere new to live and vacate your current property. Otherwise, you could end up in court. 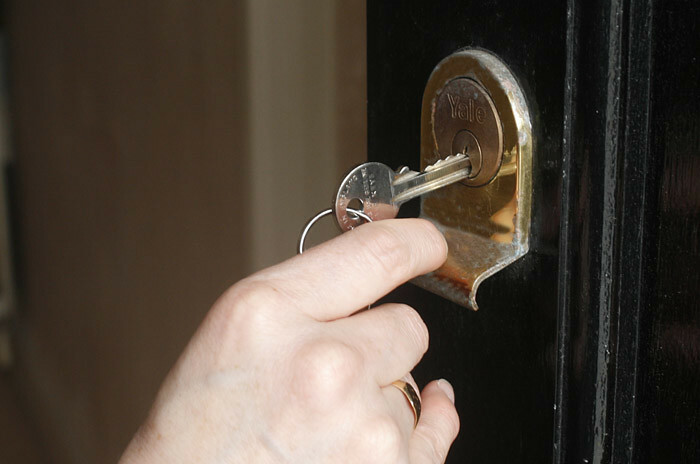 It’s important to understand why you are being evicted, as there is always a reason behind an eviction notice. It could be that you haven’t kept on top of your rent. It may be that the landlord has decided to sell up. Or perhaps the landlord isn’t happy with some of your behaviors, such as having a pet without permission or being too loud late at night. There are hundreds of possibilities for eviction. By finding out why you’ve been evicted, you may be able to prevent the eviction, such as if you owe rent money, paying it in full would most probably allow you to stay in your home. If there is no changing the landlord’s mind and the eviction will go ahead, it’s vital that you begin the house hunting process. The last thing you want is to end up homeless because you weren’t able to find a new home in time. So the sooner you start house hunting, the better. Create a list of what you want and need from a home, such as the number of bedrooms it must have, the ideal location, and the rental price maximum amount that you can afford to pay each month. While it’s important not to rush the process and end up somewhere that isn’t a good fit for you and your family, you need to bear in mind that you do have a time limit to find somewhere new to live. The last thing you want come moving day is to be in a mess and not ready to move out of your current residence. That’s why it’s so vital that you prepare for moving day in advance by having a clear out and then beginning to pack. It’s also important that you look into hiring cheap movers to help streamline moving day and reduce some of the stress that you will be under. Instead of buying boxes, consider asking in local stores for their old and unwanted cardboard boxes - this will help to reduce the cost of moving. Being forced to move house when you don’t want to is upsetting, there’s no getting away from that. Your home is your little escape from the world, the place where you feel the most safe, which is why it can be so upsetting when you are evicted. However, by making your new home feel homey, you can begin to start a new life there, making the most of what you’ve got. It might be hard being evicted from your home but remember; it’s only bricks and mortar. You can make anywhere into a home; it’s just a case of personalizing the space, that’s all.